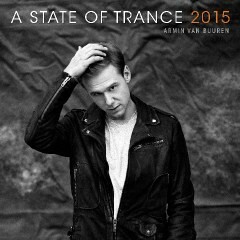 Armin van Buuren recently announced that he will be releasing the 12th instalment of his compilation: ‘A State of Trance’ on 27 March 2015. This announcement comes off of a year that saw Armin receive a Grammy nomination and several platinum awards for ‘This Is What It Feels Like’, a world tour that apparently reached over 500,000 visitors across five continents, and a slew of other prestigious awards. A quick glance at recent tour photos reveals the new scale of the A State of Trance experience, especially when compared to the humble beginnings of it all so many years ago. The 12th instalment in the series, ‘A State of Trance 2015’ should mark the start of life on a bigger stage. With a brand new collaboration with Mark Sixma entitled ‘Panta Rhei’ and a selection of Armin’s personal favourites, in addition to an exclusive Gareth Emery remix of Cosmic Gate, the album also has 26 exclusive and unreleased tracks. These include never-before-heard songs from Armada Music artists Protoculture, Alexander Popov, Orjan Nilsen, two new Gaia songs, and the Armin van Buuren presents Rising Star feat. Betsie Larkin - ‘Safe Inside You’. The first set is titled “On the Beach” and the second is called “In the Club”. It’s this diversity that has led the compilation to be once again nominated for an IDMA in 2015, after having won the award in 2014 and having either won or been nominated every year since 2005. This year will celebrate ASOT Episode #700 and see the ASOT Festival touring the world.